The U.S. Environmental Protection Agency’s (EPA’s) plan to regulate carbon emissions is just the latest challenge facing the U.S. electric power system. Technological innovation is disrupting old ways of doing business and accelerating grid modernization. Last year, AEE released Advanced Energy Technologies for Greenhouse Gas Reduction, a report detailing the use, application, and benefits of 40 specific advanced energy technologies and services. This post is one in a series drawn from the technology profiles within that report. VVO controls the flow of power in the distribution system to increase efficiency and reliability, reduce distribution losses, and accommodate new power flows, such as those originating from distributed generation. VVO provides more precise voltage control, reducing the amount of power required. Historically, utilities have had to use estimates to ensure that end-use customers would have the proper level of voltage after distribution losses. 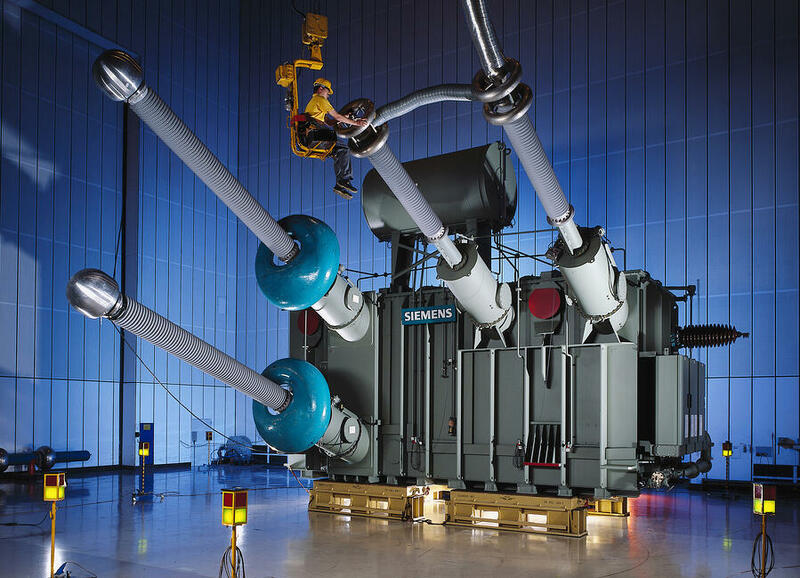 Such an approach requires higher than optimal voltage levels to keep voltage from dropping below minimum thresholds by the time it reaches customers. By using dynamic control, VVO allows distribution lines to have lower overall voltage without impacting service quality. Smart grid communications networks include software and hardware that enable the collection of data from and communication between smart grid technologies, including advanced metering infrastructure (AMI). Smart grid software and hardware technologies allow utilities to collect vast amounts of real-time data. Smart grid data management and analytics solutions help them organize, analyze, and act on that data. These solutions are complex software platforms that use algorithms to scan all of the incoming data and point toward actionable conclusions for utilities, energy service companies, and energy consumers. These programs also help to forecast demand and better identify and monitor outages. A microgrid is a network of connected electricity generation assets, controls, and loads that can operate separately from a utility grid and/or easily connect to or disconnect from a utility grid. Microgrids come in three basic types: remote, customer-owned, and utility distribution. Remote microgrids provide power to communities far from utility networks. Customer-owned microgrids typically refer to microgrids in use at large facilities owned by a single customer, such as military bases and college campuses. Utility distribution microgrids refer to portions of the grid within the utility system that are configured to act as microgrids. There are two types of currents that can be used when transmitting electricity: Alternating Current (AC) and Direct Current (DC). 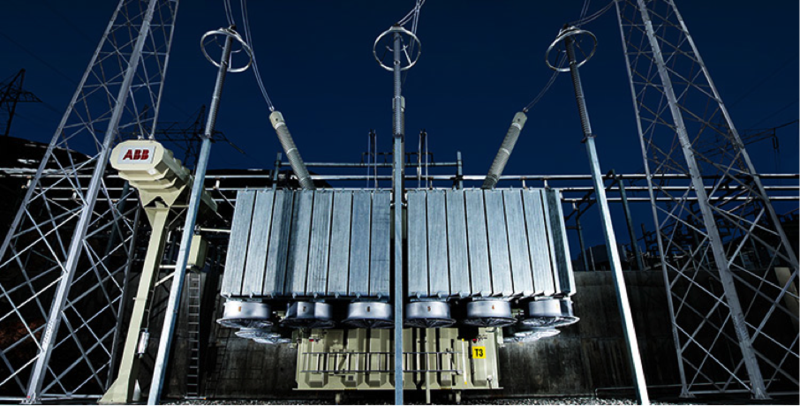 The electric grid developed around AC power because it was easier to manipulate and transport efficiently given technological limitations with DC transformers that persisted until the 1980s. Technological advancements have now made high-voltage DC (HVDC) lines a viable option for efficiently transporting power over long distances. Superconductivity is a property of some materials whereby electrical resistance, which normally decreases gradually with decreasing temperature, suddenly drops to zero below a critical temperature. Advances in materials have created high-temperature superconductors (HTS), whose relatively “warm” critical temperatures of -315° to -230°F allow for the use of less expensive and easier to handle refrigerants such as liquid nitrogen. 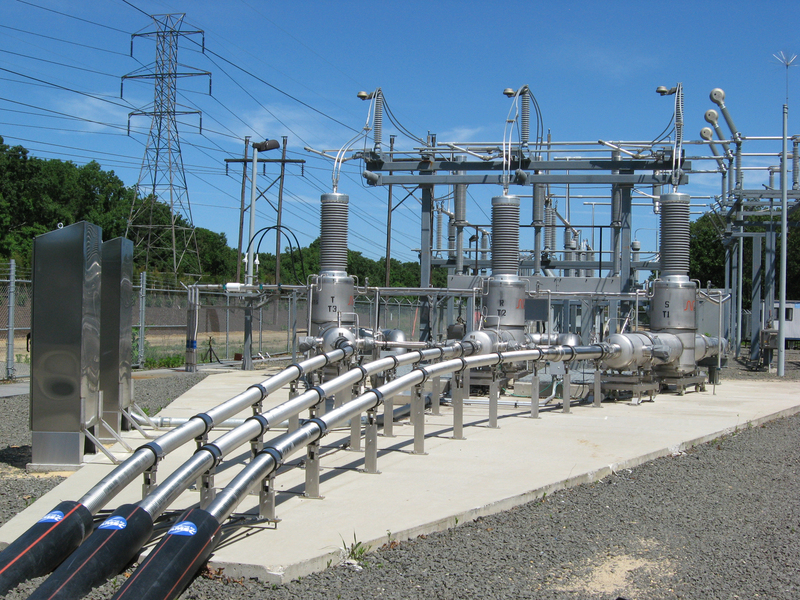 HTS transmission passes electricity through a cable that is insulated with high-pressure liquid nitrogen pumped by refrigeration equipment. The insulation allows HTS transmission to carry 10 times the power of a standard cable of similar thickness with almost no power losses. These lines can connect directly to the existing AC transmission network to add highly efficient transmission capacity that can relieve congestion without the need for high voltages.